Monday, October 15th, 2018 at 3:20pm. 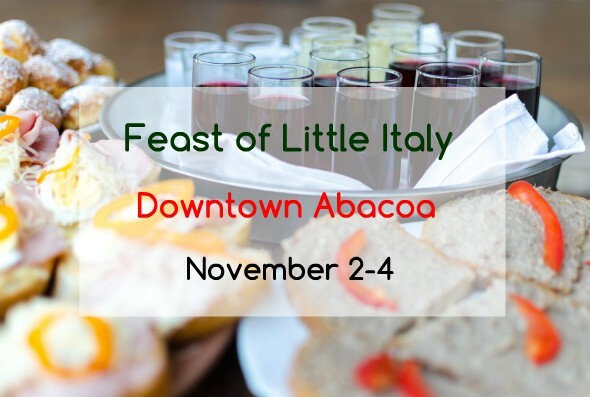 The Annual Feast of Little Italy returns to Jupiter once again in just 3 weeks at Downtown Abacoa. The 3-day street festival includes loads of authentic Italian cuisine, art, festival rides, traditional games, free wine, cooking demos, live entertainment and so much more. The event takes place Friday, November 2nd through Sunday, November 4th. Hours are 10-4 p.m. on Friday, 11 a.m.-10 p.m. on Saturday and 11 a.m.-7 p.m. on Sunday. Tickets are $5 in advance or $8 at the door. Kids 12 and under are free. See more about Abacoa and homes for sale in the Jupiter area here.